I met Dr. Velarde after being admitted through the Emergency Department. When you hear, “the surgeon will see you and schedule surgery”, you are immediately on guard. Dr. Velarde came in, treated me with concern and was very thorough in his evaluation. Together we devised a plan of action, and I was kept informed every step of the way. Dr. Velarde saw me daily and included me in the all of the decisions about medications, diet, etc. After having laparoscopic surgery, I was up and out of the hospital in 3 days. I cannot tell you how blessed I felt to have Dr. Velarde treat me. I have had the pleasure of working with Dr. Velarde since 2009. As a healthcare professional, I was so impressed with his knowledge and talent as a physician, that I chose to use him as my own physician and surgeon. I was beyond impressed. He is an exceptional surgeon. Not only did he take awesome care of me, but his bedside manner was like none other. 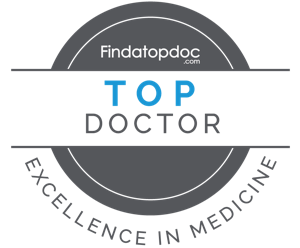 He is truly a high-calibre physician and I will continue to use him for my healthcare needs and recommend him without hesitation to prospective patients. Obesity and Exercise – a Vicious Cycle? Is Using Essential Oils for Health a Good Idea?